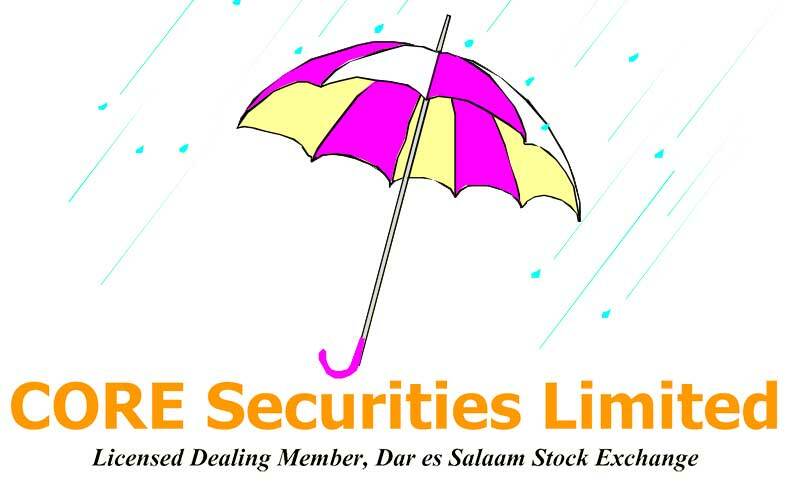 According to CORE Securities Dar es Salaam Stock Exchange (DSE) Weekly Market Report for the week ended Friday November 20th 2015, the market total turnover was TZS 4,288,383,900. The total market capitalisation reached TZS 20,766.11 billion up by +1.35% compared to the previous week’s close at TZS 20,489.40 billion. A total of 2,545,000 shares were transacted in 302 trades. Trading activity was recorded in TBL, CRDB and TCC. The Dar es Salaam Stock Exchange All Share Index (DSEI) closed at 2,371.81 points up by +1.36% compared to the previous week’s close of 2,339.99 points. The Tanzania Share Index (TSI) closed at 4,631.48 points down by -0.82% compared to the previous week’s close of 4,669.63 points. The Industrial and Allied (IA) closed at 6,105.55 points up by -0.44% compared to the previous week’s close of 6,132.58 points. The Banks, Finance & Investment (BI) closed at 3,226.46 points down by -1.97% compared to the previous week’s close of 3,291.19 points. The Commercial Services (CS) closed at 3,953.25 points up by +0.11% compared to the previous week’s close of 3,949.06 points. In the bond market, there was a Treasury tender registered during the week ended 20/11/2015. The amounts of Treasuries regıstered were TZS 400 million for 91 days, TZS 25,840.86 million for 182 days and TZS 129,173.70 million for 364 days. The Bank of Tanzania (BOT) bank rate was 12.0%, prime rate was 9.78%. On Friday November 20th 2015, the value of the United States Dollar (USD) against the Tanzanian shilling (TZS) was USD 1 = TZS 2,139.37 (+0.27%). On November 20th 2015, BOT 91 days treasury bill yielded a 10.06% interest, 182 days treasury bill yielded a 16.92% interest, and 364 days treasury bill yielded a 18.87% interest.